Having recently been introduced to Freedom skincare, I was excited to give some of their makeup products a try. This is the House of Glamdolls Palette which includes so many products in one handy travel sized palette, there is so many different looks you can create which I think would make this palette perfect for beginners. 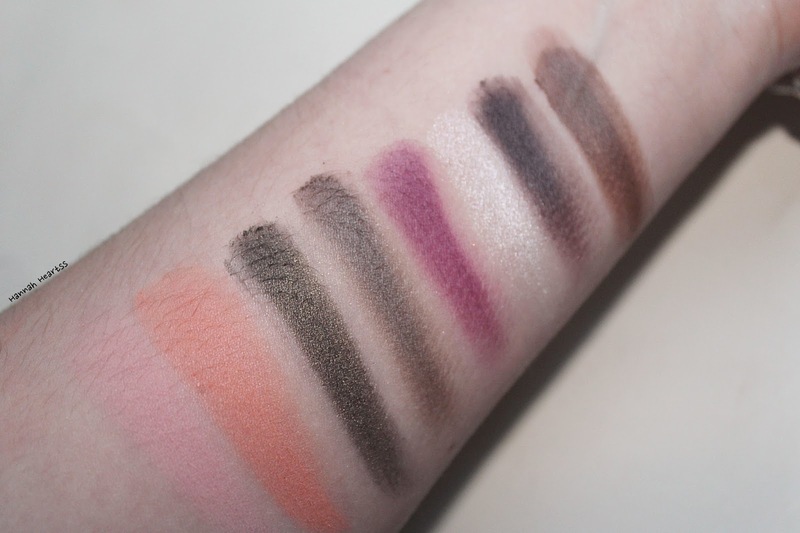 Selection of Swatches of the Blushes, a few eyeshadows and brow products. This palette includes four brow powders, three powder highlighters, ten powder eyeshadows, two powder blushes as well as four lipsticks. For just £8 a palette you get so many products to try out and so many looks you can create. I have the Spirit Doll look but there is also three other options available, the Fairy Doll Look for example is a gorgeous bright palette - a very fun one to have in your collection. 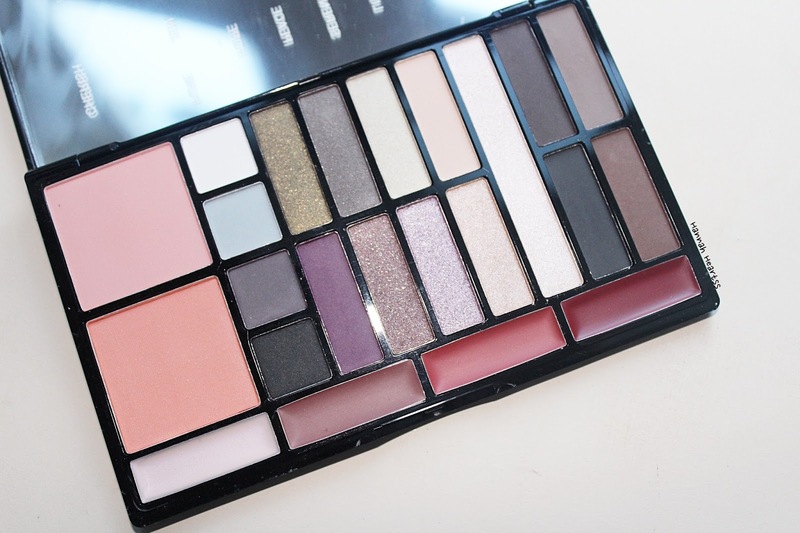 The palette itself is very sleek and compact while having a huge mirror on the inside which I have been using to apply my makeup even when I don't use this palette. The Spirit Doll Palette is inspired by earthy, natural and geological shades to reveal your inner beauty. What I absolutely love about this palette is that inside of the box is a little paper insert which has a face chart for every palette in the House of Glamdolls line which step by step instructions on how to create the look. I am not the best at knowing which shades go with what so I like that this has a little guide if I am ever unsure. Obviously you can create whatever look you like with this palette but I do like the this touch - amazing for an inexpensive brand. The Lipstick shades are on the sheerer side I found but still give the lips a light wash of colour and some gloss. The blushes in the palette are incredible, I love that there is a pink and a peach included, both look nice against my pale skin. These blushes are well pigmented too as well are the brow powders. The eyeshadows I personally found to be a little hit or miss. Some of the shades as you can see from the swatches above are incredibly pigmented but there is a couple of lighter shades, Pure, Light and Zen, which just don't show up at all. The darker shades like Hope, Euphoria and Utopia and very pigmented and a little goes a long way with these. 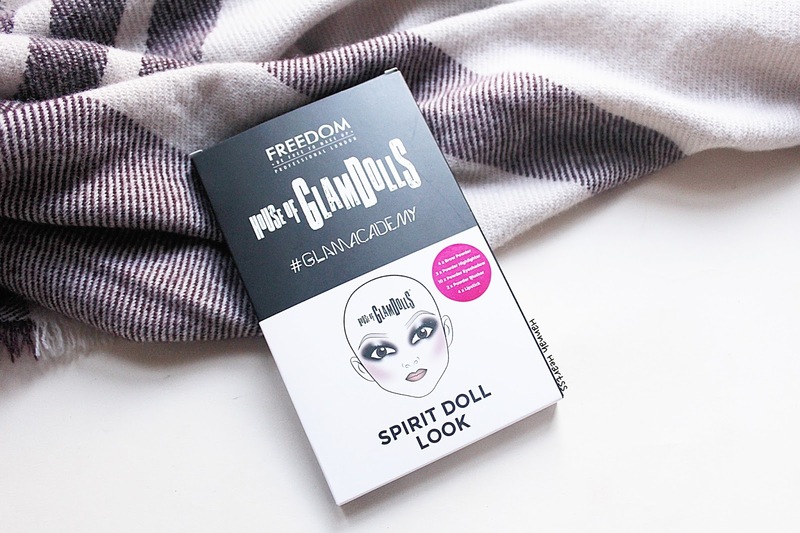 The Freedom Spirit Doll Look Palette retails for just £8 and is available here - link.